On April 11, the D.C. Circuit Court of Appeals denied a petition by SeaWorld, which was seeking to overturn a citation and penalty issued by the Occupational Safety and Health Administration (OSHA) after a killer whale mauled and drowned one of the park’s trainers during a show (Seaworld of Florida, LLC v. Perez). OSHA had cited SeaWorld for violating the OSH Act’s Employer’s General Duty Clause, by failing to provide a workplace free of “free from recognized hazards that are causing or are likely to cause death or serious physical harm.” This decision reminds us that this often-neglected element of OSH compliance serves important worker safety goals. What is the Employer’s General Duty Clause? Shall comply with occupational safety and health standards promulgated under [the federal OSH Act]. OSHA’s activities tend to reverse the order in these two clauses. OSHA identifies typical workplace hazards; promulgates “standards” with engineering, equipment, administrative and training requirements that would identify and address the hazards; and requires employers to implement them in the workplace where those hazards are present. Type of Hazardous Exposure(s). The first step is to identify the type of potential exposures to a hazard that the violated standard or the general duty clause is designed to prevent. Type of Injury or Illness. The second step is to identify the most serious injury or illness that could reasonably be expected to result from the potential hazardous exposure identified in Step 1. Potential for Death or Serious Physical Harm. The third step is to determine whether the type of injury or illness identified in Step 2 could include death or a form of serious physical harm. Knowledge of Hazardous Condition. Because in case of an accident OSHA will determine whether the employer knew or, with the exercise of reasonable diligence, could have known of the presence of the hazardous condition, the fourth step is to exercise due diligence to know of the presence of a hazardous condition. How Does OSHA Prove A General Duty Violation? The employer failed to keep the workplace free of a hazard to which its employees were exposed. The hazard was a recognized one. OSHA applied this 4-step analysis to SeaWorld’s fatal incident. 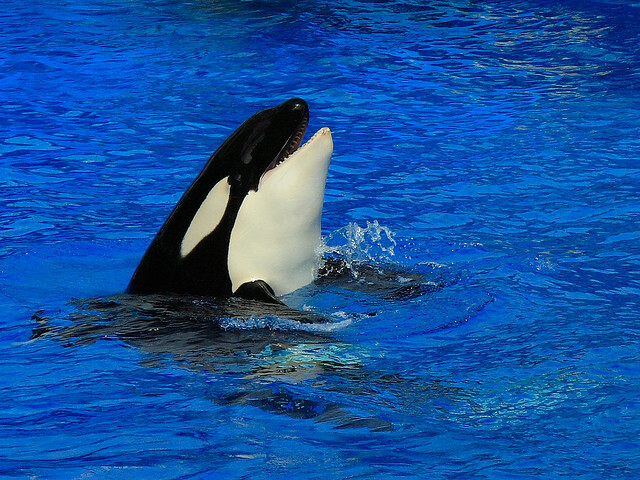 What Happened in the SeaWorld Case? On February 24, 2010, SeaWorld trainer Dawn Brancheau was interacting with killer whale Tilikum during a performance before a live audience at Shamu Stadium in Orlando. She was reclined on her back on a platform, and Tilikum was supposed to mimic her behavior by rolling over. Instead, the killer whale grabbed her and pulled her off the platform into the pool. She suffered traumatic injuries and drowned. She was the fourth SeaWorld staff member killed by a killer whale, and the second killed by Tilikum. That the hazard was no longer foreseeable because the park had responded to earlier incidents with extensive “operant conditioning” of the killer whales and training of human staff to recognize “precursors” of possible aggressive actions. That OSHA’s recommended protective measures were not feasible, because they would have degraded the education and entertainment value of the performances. The administrative law judge (ALJ) who heard the case, and later the Court of Appeals, rejected both counter-arguments. They found plentiful evidence that SeaWorld recognized the unpredictability and potential danger of its killer whales, in part by the very fact that animal and human training programs were in place to attempt to mitigate the hazard. And they noted that SeaWorld had voluntarily expanded its use of barriers and distance protections after Ms. Brancheau’s death. The ALJ reduced the violation from “willful” to “serious,” and assessed a $7,000 fine. The Court upheld these findings, although one judge dissented arguing that the trainers had accepted the high-but-managed risks inherent in their occupations. Audit the workplace to identify potentially hazardous operations and locations, and assess the nature of each hazard? Identify OSHA/state requirements applicable to those hazards, and institute required compliance measures? Review external information about types of hazards and generally identified practices for hazard management? Assign specific qualified personnel to administer health and safety protection program elements? Evaluate how employees may be exposed to recognized hazards, by routine and non-routine activities and situations in the workplace? Evaluate how engineering controls, administrative controls and procedures, and personal protective equipment (PPE) can be applied to manage hazards to acceptable levels? Define administrative controls and procedures, and training to operate activities in compliance with applicable requirements and consistent with practices necessary to conduct unregulated activities safely? Establish appropriate training programs, identify personnel who require specific training, and deliver training? Establish ongoing workplace evaluation/inspection and recordkeeping programs sufficient to verify adequate implementation of designed programs and elements? Establish procedures for reviews of operations and protective procedures, periodically and after incidents, and for implementation of identified enhancements?